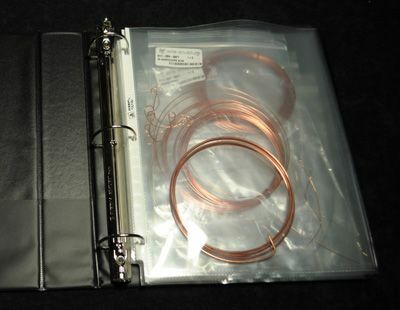 We claim no credit or ownership for images posted on this site unless otherwise stated. 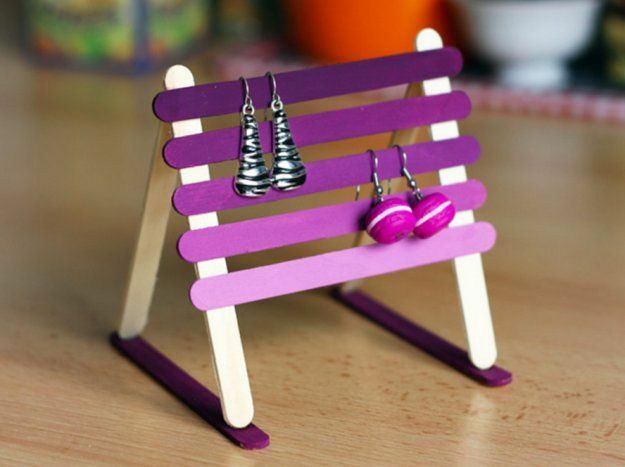 If you find an image appearing on this blog that belongs to you and you do not wish for it to appear here, please E-mail us at blingsparkleblog[at]gmail[dot]com with a link to the image and it will be removed ASAP. "We give fashion and style a new sparkle, a new meaning. We are the sparkling trio!" 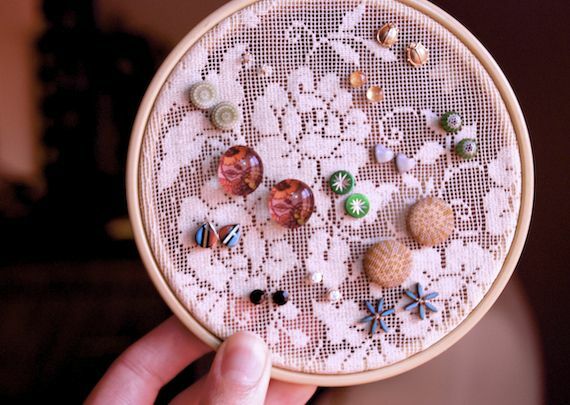 Be it a necklace, ring, bracelet or even a tiny studded brooch, we women love our jewelry and share a deep emotion with every piece we own. 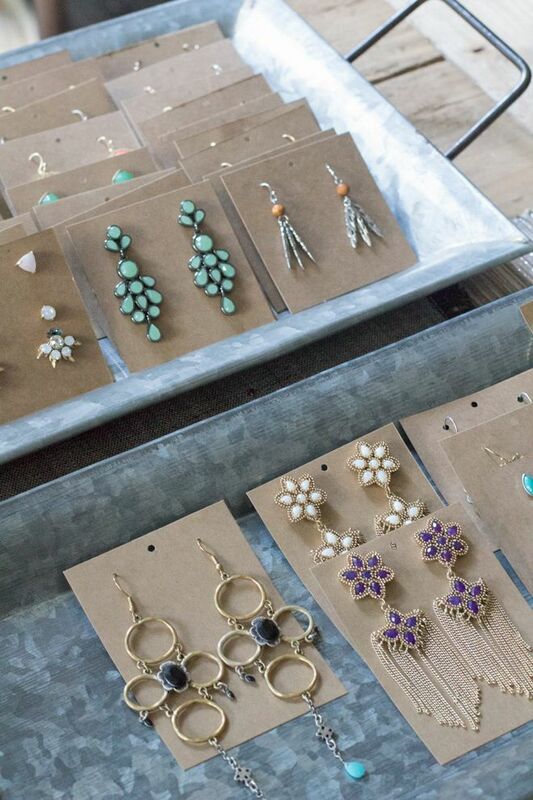 I personally adore my jewelry, especially the ones which I have an emotional connect with and like to take a little extra care while storing and organizing them. 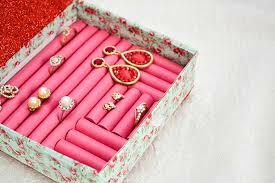 Jewelry is that piece of possession which can darken, accumulate silt or change colour if not stored in the right way. 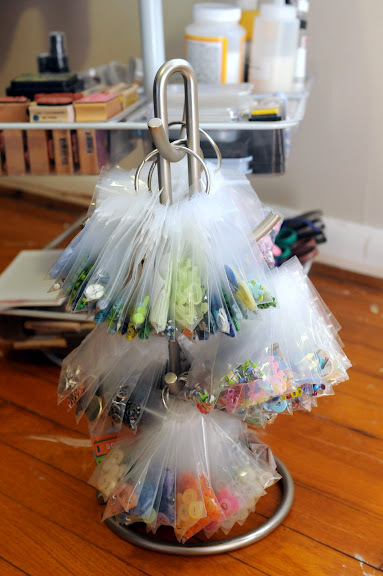 Apart from that, organizing your jewelry and storing it in the right way at the right place also makes life so much easier. 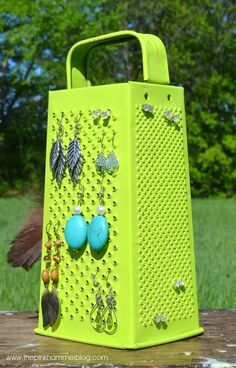 It makes your jewelry easily accessible every time you dress up, especially when you are in a hurry! 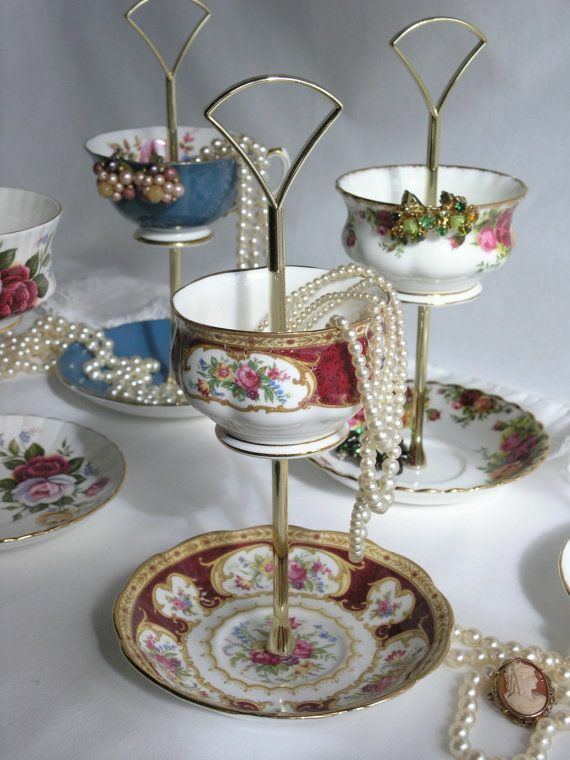 Your cups and saucers can make for a great way to organize and store your jewelry! 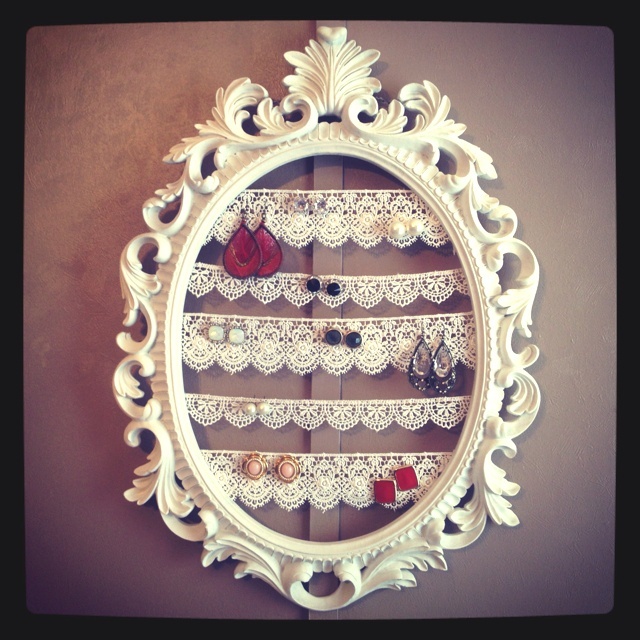 Storing your favourite jewelry in crockery is both aesthetically appealing and a great way to stay super organized. 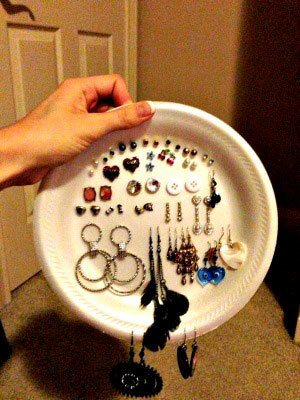 You can glue together 2-3 cups or saucers and make your own DIY jewelry organizers! 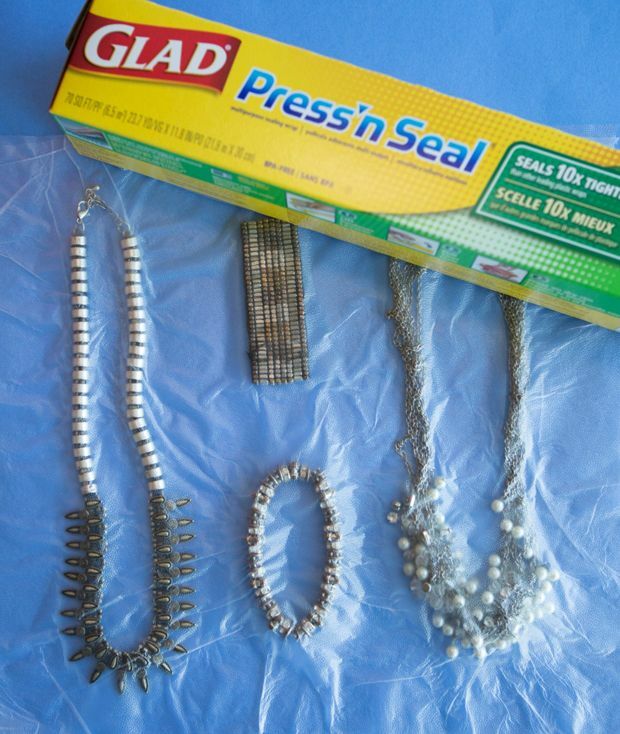 Combining different metals together can result in a reaction which will inturn blacken and rust your jewelry so it's best to store every piece separately. 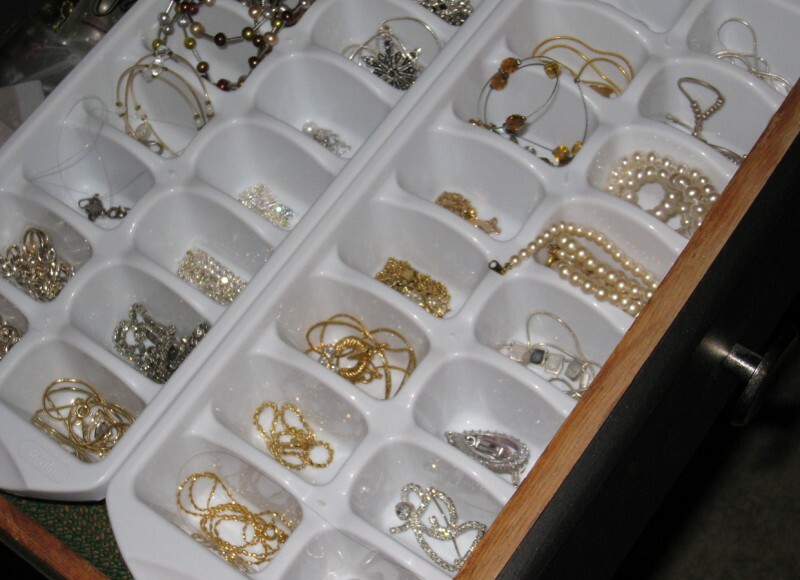 Your old ice cube trays can make for lovely drawer dividers, glue them inside your drawer and store your jewelry in a way that it's easily accessible and super convenient! 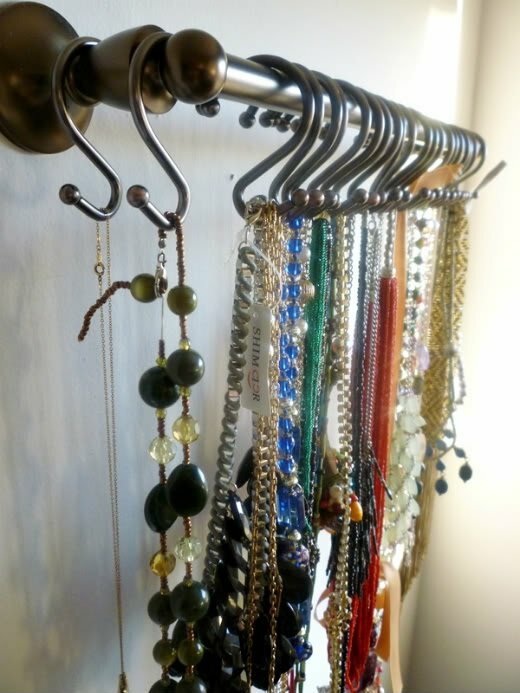 Cloth hangers can be used to DIY a lot of interesting things and using it as your very own necklace holder is a great way to upcycle them! 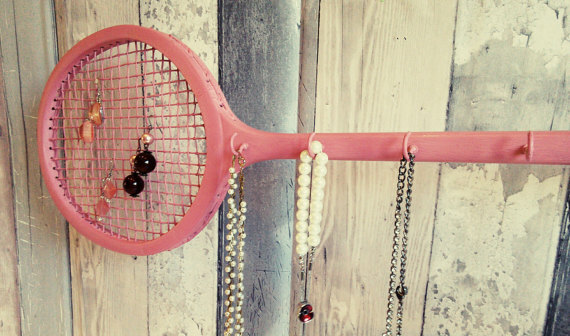 You can just hang one close to your wardrobe/dressing table and use it to store your chains, bracelets and necklaces. 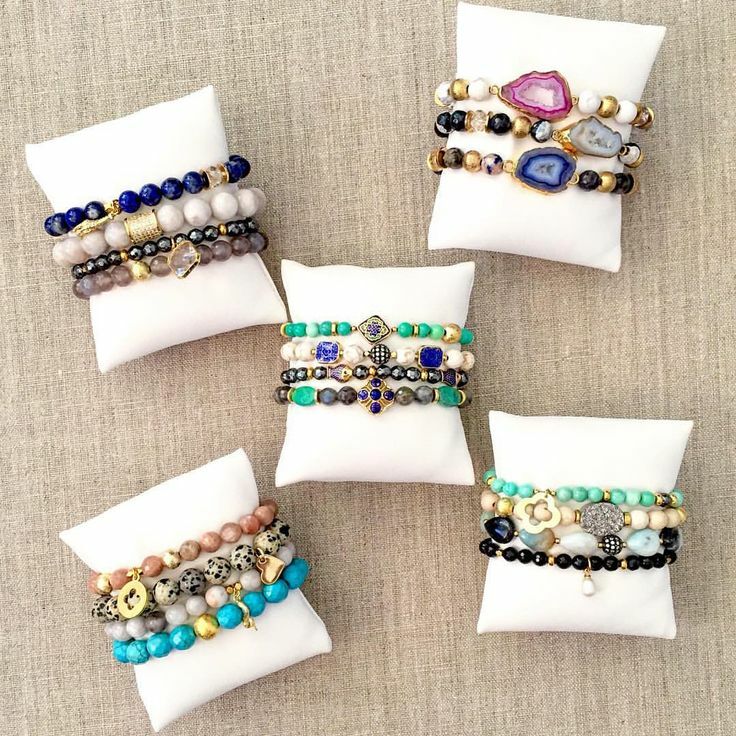 Cushions and jewelry are best friends. 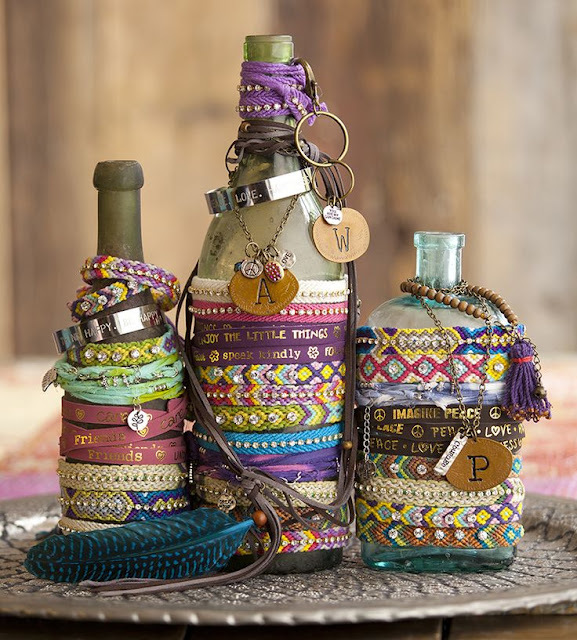 Upcycle your watch pillow packaging and use them it to store your favourite bracelets - such a cozy idea! 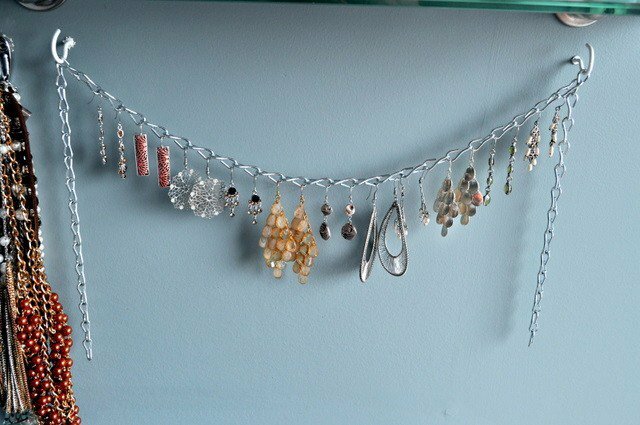 Curtain hangers can be the ultimate jewelry organizer and DIY necklace holder as they have these hooks which can store multiple types of jewelry. 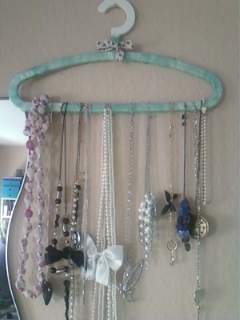 Apart from necklaces, bracelets and chains you can hang your rubber bands and hairbands in here too! 11. 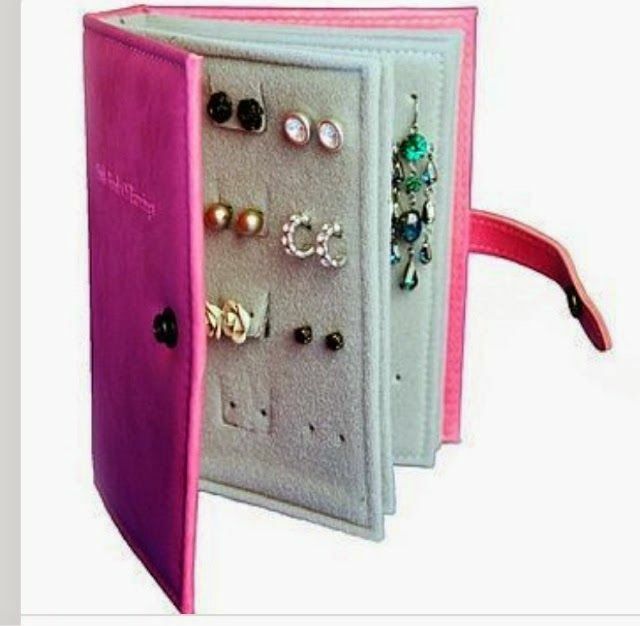 Make a Earring Book to keep all your studs at one place. 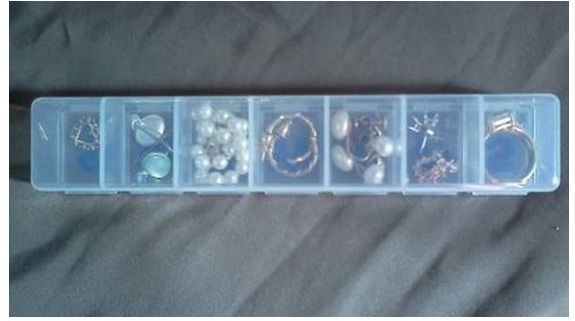 So those were the many fun and unique ways in which you can organize and store your jewelry. Which of them are you trying first? let me know in the comments below!